Today Emma and I are so incredibly excited to share our newest e-course, Blog Life! Four years ago we released an e-course called Blog Love. Last year we realized that instead of just updating it (as we had been doing in past years), we wanted to write a whole new course. These past few years of blogging have taught us so much. As soon as we started writing an outline we were completely energized about this project! We LOVE sharing blogging and business secrets. This course was actually the inspiration behind our entire new program. 😀 Simply put, we are passionate about blogging. We can talk about it for hours on end. If that’s something you’re interested in, too, then this course is for you! You can get full details about Blog Life here, including a description of all 25 original sessions, but here are a few highlights! You’ll learn to develop a strong brand identity with personality and vision, to create a content plan that keeps you inspired every single day, to connect with a readership, to overcome periods of burnout, and to efficiently manage an editorial schedule. You’ll learn about networking and self-promotion, and honest, organic ways to optimize your blog traffic. You’ll learn how to create content that has viral potential. You’ll also learn the basics of online advertising and how to assess your blog’s value. You’ll learn to price, scale, and build an ad program and how to pitch your very first campaign. The course is filled with personal stories, trade secrets, and candid advice based on our own successes and mistakes alike. The course is co-written by us (Elsie and Emma), with three sessions all about understanding and building an awesome advertising program from Trey George. Since this e-course contains a lot of heavy information and homework, we created a printable workbook that you can download and print at home. These have pages to take notes from each session and calendars to begin creating your own editorial schedules with. P.S. Let us know if you have any questions about Blog Life in the comments. Credits// Photography: Sarah Rhodes, Videography: Jeremy Larson, Music Jeremy Larson. hi! I signed up for the Blog Love course in 2010 when the username and password was a couple words [not my email, etc]. Since then the website has been taken down. Is there still a way I can utilize the 20% coupon? I have my old emails, etc. OMG! I am so excited! Great job ladies!! YAY!!! I can’t wait to get started! Hi Roxy! Send me an email at: support AT redvelvetart DOT com and I can give you the link to the old courses. You guys! This couldn’t have come at a better time. I’ve been dreaming of ACTUALLY making a blog for years, especially recently, but actually spent 2 hours brainstorming names and content themes this morning. Can’t wait to take this course! Thank you! Oh it’s exciting ! Does the coupon works for those of us who were in Blog (design) Love as well ? I am so excited to start this course!!!!! Ah, perfect timing! Thanks so much for spending the time to put this together, I’m excited to take the course! Aw man I wish I could spend my savings on this!! 🙂 It looks awesome. Maybe soon! Hey ABM team! My question is, is this a work-at-your-own-time course? Very excited for this. I’m been wanting to add a blog component to my business launch this summer but I suspect like many, I don’t know where to start! Thank you for putting this together. So excited about it. Yay!!! I’ve been dying to hear more about this since you first announced the course schedule 🙂 I would like to start a blog and I have no experience with it whatsoever….none…nada…zip (ZILCH)! The course outline sounds incredibly detailed and well thought out, and I am very excited 🙂 but does it cover the basics too (web hosting servers? Setting up and designing your blog?). Thanks so much for this awesome opportunity! YESS!!! This is the one I’ve been waiting for! I loved the Blog Love course so, so much. A question, though, I’m going on vacation in a week and I come back at the end of June, can I take the course then? Ahhh…this honestly couldn’t have come at a better time. Thank you, thank you, thank you. Definitely buying and can’t wait to begin! I definitely want to take this course! I have a computer, but it is really old and is unreliable. Will this course work on an iPad? I’m so, so, so excited for this! I love lifestyle blogging and this seems like the perfect kickstart! Yay! I LOVE that video!!! you guys rock. Exciting news indeed! Good luck and fingers crossed! This course is more geared toward blogging, as in the content. If you’d like to know more about designing your blog layout, platform, etc. then I recommend you wait for the new edition of Blog Design Love (coming soon!). Check the course session lists to see what you can learn from this course. Will this course work on an iPad? My computer is unreliable. It is designed for both but we can’t know everyone’s experiences of course. 🙂 So, I’d highly recommend you read through the session list (of all the session titles) and see if you feel like you are already comfortable with all of those topics. If you are, this may not be a course for you. Will there be a capacity for how many people can sign up for this course? I can’t purchase it right away, but I don’t want to miss out! Would this be appropriate for someone who wants to make their blog better but not necessarily make a living from it? Thanks!!! I am so happy you guys are offering this! I just moved my blog from blogger to self-hosted WordPress in an effort to commit to some serious blogging. I think your course is just what I need to make this happen. So, so excited!! So awesome! Congrats on revamping this and taking it further. Hello! I just bought the course! Where do I download the printable workbook, in the course? Sorry, we had a little hiccup there, and it wasn’t showing up. But it should be in the first lesson now. YAYAYAYAY!!!! I’m so glad that you made an updated and EVEN BETTER version! I just bought it and I can’t wait to read through it because I know you guys must have so much more information and tips now! YAY! I am solo excited I had been refreshing and refreshing the site since today in the morning waiting for the course to be announced……. I can’t wait to learn from you guys….. You were my inspiration to start my blog!! It is true!! And now to have the opportunity to learn from you is amazing! You guys are so awesome! I’m so excited to learn as much as I can from you two! Okay, totally random side thought: I have this weird thing about hearing bloggers’ voices. I love having a voice to put with a face, and 99% of the time it is always so different than I expect! Speaking of building a brand, I feel like it makes it even that much more personal. And your voice is ADORABLE. I am incredibly excited for this course! Can’t wait to buy it and dig in to take my blog to the next level! This is amazing. I’m ready! So excited to finally hear about this course! I’ve been keeping my eyes open for it ever since I saw the schedule, and I can’t wait to get started. I would love a chance to take my blogging to the next level and am always reading (and re-reading) every post you amazing ladies make on blogging. Eek! I am so so excited about this! I’ve been waiting for this course since your new shop launched! I am super interested in blogging. SUPER interested. But I know nothing, nothing about it. Unfortunately I won’t have regular Internet access until August (I only have my iPhone right now). Are there any courses that are a little more geared towards actually setting up a blog as opposed to content that would be available to me then? Yessss! My blog is baby-new and I have been anxiously awaiting this release! I am SO excited. Wow, this is amazing! And only $50?! That’s a steal! How exciting! I will need to check this out! Hi! This course sounds awesome. I do not have a blog yet- thinking about one to get it out in a couple of months, my question is should I take the course before I start my blog or would it be better/more useful once I have my blog out?? Sounds fantastic! I just signed up but during the process it froze. Can you check to see if my order went through? I can’t wait to get started on the new course! I loved the old one! I hope your servers are ready! I bought the course and I can’t get in! So excited for you guys! I’ve been reading ABM for many years and love following a long for all your successes and failures! I’ve learned so much from you both! I just tried the link for the e-course, but it wasn’t working when I tried to add it to my cart. Hi! None of the links work so I can’t get more information and purchase. The error message says it can’t open because “the server where the page is located isn’t responding.” Hellllp! I cannot wait to sign up for this in two weeks when my finals are over, and I’m really excited to sign up for Blog Design Love. Hi! I’m so excited for this. The link to get more information, however, doesn’t seem to be working on my safari browser. Help! The sign up link will not work for me. This is exactly what I’ve been waiting for <3 <3 Excited!! The course sounds amazing! For some reason, the link isn’t working for me. Oh this is way too exciting! I clicked the link to the blog life course but it keeps coming up with a blank screen? And where on the blog love course is the code featured? I’m on the main page but can’t find it anywhere? Lol, hope it’s not me just being a dork. Okay, maybe a dumb question but, is everyone able to click on the links for more info and sign up details? I get a blank screen. Hi> I clicked the link where I can sign up but it doesn’t load. is there a problem or is it just me? I clicked on the link and nothing happen – eeeekkk! Super excited for this! I recently started up my etsy shop and want to incorporate blogging with it. I have a question though, do we need to have an already existing blog…or will I be able to create one as I complete the course? Hi I’m trying to access the link to Blog Life but it’s not showing up. Is the problem on my end? Hi – fantastic idea and would love to take the course but the link to more information (stating click here) doesn’t seem to work. I see a blank page on A Beautiful Mess shop. Is it a network problem?? Hello, Lovelies! So, I clicked on the signup link for this course but it just opened up a blank page. Is this course at full capacity? I assumed because it was an e-course the seating was unlimited (sort of speak). Now THIS, i can get excited about! I’ve tried heading over to the web page to sign up for the e-course but I think the link may be broken. Help?! Hi . Thanks for doing this I am excited. I logged into blog love the old course but I don’t know where to look for the code. Its still up and I see the blog for the class but not the code. Could you send it to me please. I’m so excited about this! 🙂 I’m looking forward to taking it. Super excited for this course! Thanks ladies! Wow, this looks great! Small (and possible n00b) question: in what kind of format are the lessons? Videos? A website? PDF? Never done an e-course before, but I’d love to do this! I’m having trouble viewing the shop page – it just comes up completely blank. Is anyone else having trouble? I would love to sign up. I have loved Blog Love, so I’m sure this will be incredible! You blog is def my favourite. you both are so cute and positive! i love it so much. your life seems so perfect! hi there! i’d love to take this course but i don’t have a mac…is this course useful also for windows users?! Honestly people..I can’t believe how much increadible stuff you keep coming up with. Thanks for this! I’m just scared to buy and then realize that it just isn’t what I’m looking for on information…. Argg! Did blog love a couple of years ago and my link doesn’t work any more either. Assuming you can see what my email address is. Looking forward to this course! I am super super excited for this. Will book it right after the weekend <3 can't wait! I took the Blog Love course when it first came out and it has already brought me so much; I’m so excited for this next step! 🙂 And thank you so much for the discount, that is really nice. Oh, this is great, I think I will buy it! Can’t wait! Just signed up! hey that’s great! i would love to do it as i loved the blog love course. I don’t understand though how to login? I only had an email giving me a link that is not longer available…how can i get the voucher then? thanks a lot in advance! what happened to the red velvet? Congrats ladies!! As a past Blog Love student I’m super, super excited and heading over today to purchase. I cannot wait. I have so much more to learn and do, as well as to accomplish on my blog but your first Blog Love course helped me in 2012 to get started! This is so timely too…I really needed this today. Sooooo excited!!! I can’t wait to get started ! It looks FAB ! I did sign up for your Blog Love course and loved it ! Thanks Emma and Elsie !! It’s in the first lesson at the very top! Yes. I think so. There are a lot of sessions about branding, writing, photography and creating your best blog. There are also a lot of sessions about monetizing, which wouldn’t apply directly. Although I think it’s still good to be informed about what’s happening elsewhere in the blog world, even if you aren’t participating in that part. This literally could not be a better timed e-course as over the past few months (well, more like 2 years), I’ve been putting serious thought into taking my blog to the next level. I have one question for you though. I saw above that Andie asked if it’s a work-at-your-own-pace course (yay! So glad it is), but my q is – does the course expire? If I’d like to go back and refresh certain aspects of the course in 2 months, will the course still be available to me? yes! Both courses are completely different, but super informative! Thank you so much! I’m so happy you’re interested. So, the course that is about setting up your blog design is called Blog (Design) Love & it’s coming out next month! Ideally it would be great to take it before your blog launches, but it works either way for sure! Last night we had a server problem for an hour or two! It is fixed now. If you have ANY further issues please let us know. 😀 Sorry about that! Last night our server was down for an hour or two! It is fixed now. If you have ANY further issues please let us know. Last night our server was down for an hour or two. Nope. Last night our server was down for an hour or two. It is fixed now! Would this course be good for someone wanting to actually start a blog? Been toying with the idea of starting a blog for quite a while now, but just don’t know where to begin. Thanks! It’s at the very top of the first lesson! There are 25 lessons and they are all similar to an e-book (just writing!) with one video bonus that is about 20 minutes long! 🙂 They are hosted inside of our website! Yes- it is exactly the same for readers worldwide. Paypal will automatically convert your currency for you! 🙂 There are no timezone issues. You can take this course on any type of computer or tablet. It is also international friendly! Good question! I think this course would still be super helpful because there is a lot of information about brand development that anyone can learn from. In addition, I wrote a giant session called “Monetizing Beyond Advertising” that is all about ways to make money online (beyond ads) it covers things like services, independent products, publishing etc! There will definitely be some sessions that apply less to your situation, but I still think you’ll enjoy the course and learn a lot! We won’t be writing a book about blogging because right now the industry is just changing too fast. When you write a book you have to wait almost a whole year after you turn it in for it to launch. The information would just age too fast. For now, we’re more comfortable teaching online where we can update our information as the blog world evolves! Sure! Just e-mail us and we’ll send you the coupon code! We decided to close it because our passions were no longer leading us in that direction. It’s one of our happiest memories, though! 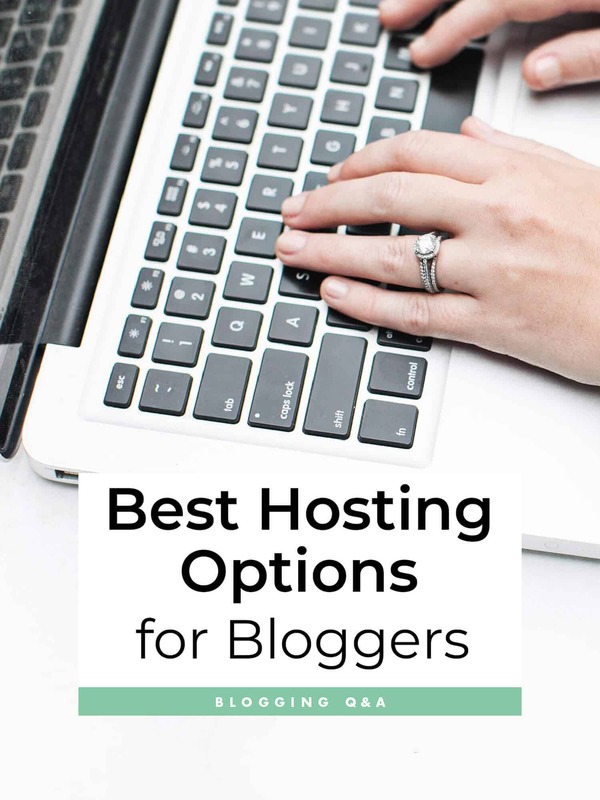 Yes- it’s great for new bloggers. You’ll learn a TON that will help you get started on the right foot! This is awesome! I would love to take your course for the very first time, but I have one primary concern…so without you giving away any secrets from your course and before I invest $50 can you answer one key question? Can a person have a successful blog without being connected to Facebook, Twitter and all the other social media sites out there? My blog is almost 2 yrs old, I have less than 100 followers, and I DO NOT want to be on Facebook! Oh that’s great – prefer reading over video or audio content when (trying to) learn something 🙂 Thanks for your reply! Hi! I really like your blog and the idea of taking your e-course. Recently I started blogging, but without a clear aim or purpose yet I enjoy it so much and would love to learn more about it. I wanted to ask if my situation will make me benefit from your e-course or whether someone with a more defined blog is suitable for it? Yes- you would get a lot out of this course. A lot of the first half is about developing your brand and your content ideas! Yea- we hate Facebook too! Haha. Would you say this course is more for people wanting to start a blog or newbies or can people who have been blogging a while use this info as well? Just signed up! So excited, thank you ladies (and gents) for putting this together. I’ve been reading for years, it’s been so fun to watch your blog and team grow! Thrilled to support your business, congrats! Yessssss! I’m super excited for this course! ABM, you can’t even imagine how thrilled I am! Your blog is the reason my blog exists today! Thank you for all the hard work you do and things you teach us! Yeiii!!! i’m SO excited!! i already signed up! this is the first time i take a course with you and can’t wait to begin!! I’m on the edge of deciding about this course! Loved Blog (Design) Love, but was wondering if the info in this course would be more geared toward blogging as a full-time job or show how to incorporate blogging into an already busy schedule (I’d love to learn more about organizing a successful blog around a full-time job!). I love this site. I pinned your no-sew curtains for your bathroom a while ago. (I’ve made curtains before, but these look so easy & so cute.) They’ve been re-pinned 81 times so far! cheers. There are definitely sessions about monetizing that would not apply to those who aren’t interested in monetizing. But beyond that there are a ton of really good sessions about building a brand, writing, features, photography and branding that would be helpful to any blogger! Hope that helps. We hope you enjoy it and learn a bunch! Really? This is so encouraging, Rimma! We appreciate it! Hope you really enjoy the course! So excited!!! I’ve talked your Blog Love course and I really enjoyed it. With your generous discount I might as well take this one too. I love your work and everything you do. Hi! I’ve been wanting to start a blog for a while now, but I always get stuck in the initial phases of the process. Would you say this is a good course for starting a new blog or just recommended if you are already blogging and want to go further? Also, are you planning on having the dslr photo course back anytime soon? is it good for compact cameras like the Canon powershot sx50? Thanks ladies, you inspire me everyday! I cannot explain how excited I am. Purchased and now I am getting cosy with some biscuits and Blog Life. You guys and gals are the most inspirational people ever. I’ve been reading your blog for about 4 years now and every time you post I am still super excited. Genius! Also, I am just blown away by the generosity of you all for sharing these tips. So fantastic and helpful! Just bought the course, and am about to start printing some content – anyone who is hesitating, do not as it looks AMAZING! I have been waiting for this e-course! I almost signed up for the previous one but couldn’t pull the trigger. I can’t wait to delve into this and finally get started with my blog! Thanks ladies!! I took the Blog Love Course a year or so ago and it was one of the most impactful things I did for starting my own blog. It really helped me put into perspective who I am and what I want to share with the world. Also, thank you so much for the time you take to create these courses. I just finished (and loved!) the photography class with Candice and could really tell your passionate about extending knowledge and/or helping the broader blog community. Keep up the good work and I look forward to all that’s to come! That absolutely means the world to me! Thank you! I’m so happy you enjoyed Candice’s class. She is an incredible teacher! Thank so much Chelsea! I hope you enjoy it! By chance do you have customer reviews from your last blogging course? wow this is so perfectly timed, for me! I took your Blog Love course last Summer and developed Will Frolic for Food (a veg food blog) as a result using Blogger. I’m about to switch my blog to WordPress (eek!) and literally just started sending out feelers to designers because I want to develop a stronger brand identity. Maybe with your help I won’t even NEED to hire out. So glad you released this! I was thinking about going to the Blogcademy workshop in DC to learn this stuff, but it’s over $700! This is obviously insanely affordable comparatively. Can’t wait to start! But I’m having a bit of trouble – I’m trying to sign up and added the course to my basket and tried to use the coupon from the survey back in March but it isn’t working 🙁 is it valid to use on this course? I am so excited! And the price is amazing. I thought this would be more expensive, thank you for making such a great resource. Thanks so much! You will enjoy this course, I think. So, this course is about blog content. We have one coming next month that is about blog design as well! It’s still working. If it’s not working for you you may have written it down wrong (remember it’s case sensitive and you can’t have any extra spaces). If it doesn’t work, e-mail us! Money is a little tight this month and I’ve already spent my allotted allowance on blogging. Just double checking it would still be possible to sign up next month as this looks really interesting? Also I am in the UK – is it open to non US readers? Hi! Have been looking forward to this e-course for a while. Next year I’m planning on launching my first serious blog. Can this course be taken as prep for that, or would you recommend taking it when I have the active blog? I guess what I’m asking is, do any of the assignments require posting, scheduling on a current blog? Hope this question makes sense! Yes- It will be available all year. And yes, it is international friendly! How long do we have access to the e-course? I can not wait to take both courses! I made a big change to my blog in August, and have been slowly chipping away at it and getting back to WHY I started in the first place. Off to check it out right now…;) PS: perfect timing. My main squeeze is preparing for a deployment, this is going to provide FUN homework whilst he’s away!! I was just want to congratulate you and your sister on your fabulous success. I am a long time reader and it has been fun to see your business grow. I still have some scrapbooking supplies that I love from you line Elsie! This is exactly what I need! I have had a blog for a couple years and just haven’t been able to figure out how to make it more successful. Thank you ladies so much! I’m going to purchase right now! hi I live in Peru, I’m very interested in the course but I need to know the schedules for this course because I work in office to 8 at 6 so I dont wanna miss anything!!! Can’t wait to get reading and learning! Awesome, can’t wait then…. I’m gonna buy it. Thanks for your response Elsie! I’m not sure why, but whenever I click any of the links in the post to sign up (I’m not a blog love alumni) nothing opens in the tab & when I go through the Classes link at the top of the blog into the shop the page for this is still blank. Meh! Help! I really want to take the course. Nevermind! I tried reloading a bunch of times and it finally popped up! Yay! There are no timed lessons so you won’t miss anything. It’s “work at your own pace”! Indefinitely. 🙂 There is no time limit. I signed into my old Blog Love course and I can’t find the discount code. Is there a specific place I’ll find it? Thanks so much – can’t wait to work through the new course! I just bought this, read the first lesson, and am so so excited to keep going! I’ll be putting a reminder on my calendar to get Blog Love when it comes out too. Thank you so much to your whole team for putting this together. I really can’t wait to dive in! HI!!! this is great… but i was wondering is there a way I can still signup for the Blog Lover series? it will be great :)Thanks!! an BTW your blog is the best! I logged into my blog love account but can’t seem to find the 20% off coupon code. Where can I find it? Hi! I would love to take this course – was wondering if you are offering any type of discount for first time buyers? Thanks! I got this course a couple of days ago and am really enjoying it so far! I have started a blog about a year ago but after a couple of months I was not happy with it and sort of stopped blogging. Thanks to this course I have started a new blog and am really excited about it. I am still going through this course and I am progressing as I read along. The Search Engine of Coupons, Coupon Blues is the largest search engine for coupons in the world offering all the top stores, brands, merchants and Labels. I started this e-course two days ago and I must say I am absolutely loving it! You girls are so very inspiring and I love reading about your personal stories and tips. The exercises are also helping me out a lot. I just started this e-course two days ago and I am absolutely loving it. You girls are so talented and inspiring and I just love to read about your personal experiences. I am so flipping excited for this! Your Blog Design Love course has proven invaluable to me over the last year (hello beautiful archive pages! ), and I’ve learned soo much from it! Can’t wait to take this and learn even more. Thank you guys so much for being such a constant source of inspiration, and such a great resource! For this if you’re outside of the US? Hi, I’m dying to start the course but unfortunately it’s my finals period and I’m pretty busy studying u till late May. Can I buy the course anytime during summer? Thanks in advance!! As one of those younger readers who is still paying off a huge student loan, I appreciate that! Thank you so much! Hi! Any lessons on SEO 101 or resources as to taking a good comprehensive course on it? Thanks so much, this is fabulous. Definitely purchasing this week! I absolutely love this idea- hopefully I can try it out in the future! And on a side note- I am in love with your blog! You guys rock! I’ll be doing the same, I’ve been having the same problem! Thanks Jacki! I subscribe this course and I start reading the four first chapters: It’s absolutely amazing and inspiring!I lovelovelove!! I wrote you a mail this morning because I have a problem to connect my account. I forgot my password and I reset it on your website but I never received your email to create a new one. I hope there is no problem with my email.. Can you help me please, I really want to go on my blog life course as soon as possible! Thank you so much!You are just perfect!! This sounds really interesting. I am in the UK. How much of your course content is relevant on this side of the Atlantic? Are there customer reviews? I am know it will be a wonderful course, because everything you guys do is amazing, but I just want to make sure it’s what I am looking for before spending $50. Am I being stupid?! I can’t find the coupon code on on the bloglove course website (bought in Jan 13)… thanks!